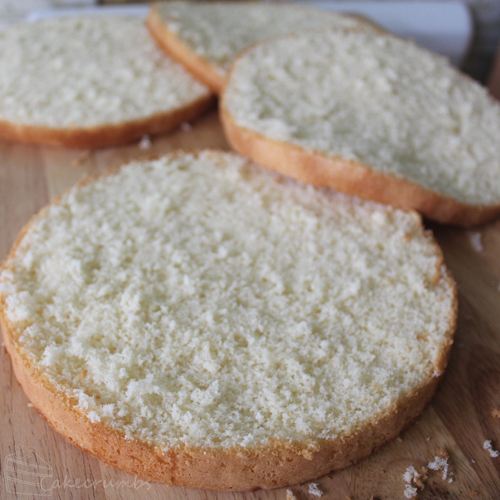 This sponge recipe is really quick and easy and the results are so worth it. The finished product comes down completely to how you treat the batter: whip a good amount of air into the eggs, don’t deflate it when adding the flour, and you’ll end up with the perfect sponge. This recipes cooks in two separate tins, but if like me you only have one tin of any given size, or if also like me you have a teeny oven, then just make up half a batch of batter at a time. To fill the sponge I made a lemon curd which is then whipped into some cream to make a lemon cream filling. The curd is incredibly strong in flavour, but after lightening it with the cream it makes a gorgeous filling. Especially if you’re a citrus lover. To top it off I made a passionfruit sauce and drizzled it on top. I’ve never worked with passionfruit before, but have had it many times at Cameron’s place. I love the flavour, but those seeds. I can’t stand the texture of large seeds in things so it puts me off. I asked Cam if I could sieve them out but he told me to leave them. So I decided to act like a grown up and get over it. They do add a lovely look to it, and once I caught the aroma of the passionfruit I forgot all about it. It’s just so delicious. The chocolate lattices are incredibly easy to make. All you have to do is wrap a piece of baking paper around a rolling pin, then drizzle or pipe melted white chocolate over the top. Once it sets you can slide the rolling pin out from the centre, pull away the baking paper and you’re left with quick and simple decorations. The end result is a light and fluffy cake that’s enough sweet and sour to balance both ends well enough to fool your tummy into accepting large portions of it. Or seconds. The best part is how quick and easy it is to whip this up. You will need to allow yourself a bit of cooling time as both the curd and sauce are cooked and have to be cooled completely before you can use them. Both can be made in advance, and is probably advisable to do so you don’t have to wait around. The sponge is best served on the day it’s made as sponge cakes don’t store terribly well, though it will keep for a few days if absolutely necessary. Preheat oven to 180°C (160°C fan-forced/350°F). Grease or line two 22cm round cake tins with baking paper. Beat the eggs in a large bowl until thick, pale and at least doubled in volume (about 10 minutes). Greadually beat in the sugar. Gently fold in the sifted flours a third at a time, alternating with the boiling water, until just combined. Divide the mixture between the two cake tins and bake for 25 minutes. Allow cakes to cool in the tins for 5 minutes, then invert onto a wire rack to cool completely. Place the egg yolks and caster sugar in a heatproof bowl and whisk to combine, then place over a pot of gently simmering water. Add the rind, juice and butter and stir until mixture thickens enough to coat the back of a spoon. To test, dip the back a spoon into the mixture, then wipe away a line of it with your finger. If the line stays distinct then it is done. It will take about 20 minutes. Cover the curd with plastic wrap so that the wrap is directly touching the surface (this prevents a skin from forming). Cool completely. Place the passionfruit pulp, orange juice and sugar into a small heavy-based saucepan. Mix the cornflour with two tablespoons of cold water, then add it to the mixture. Bring mixture to the boil, then reduce heat to medium. Cook until mixture thickens and the flour cooks out (you’ll notice the sauce become translucent in colour). Transfer mixture to a bowl. Cover with plastic wrap so that the wrap is directly touching the surface (this prevents a skin from forming). Refrigerate until cold. Fold the lemon curd into the cream and beat until thickened. Take care not to over-beat as the mixture will deflate quickly. If this happens, you can keep beating and it will thicken up again, but it won’t look as smooth. 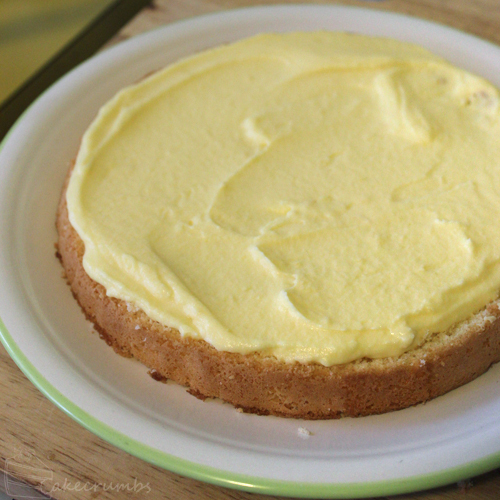 Place one of the sponge halves on a serving platter and top with 1/4 of the lemon cream. Top with another layer of sponge and repeat until all 4 layers are stacked and filled. 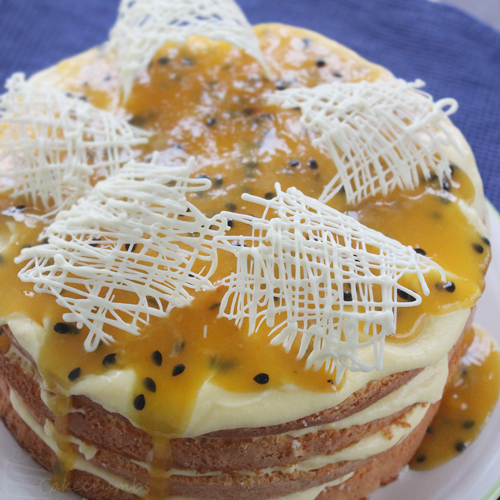 Just before serving, pour the passionfruit sauce over the top and decorate with chocolate if using. Can we replace the passionfruit with, say, dark chocolate ganache? I hear lemon and chocolate go well together. You definitely could. Just make sure the ganache is cooled at least to room temperature so it doesn’t melt the cream off of the top. I love the flavor combination here! The only time I have eaten passion fruit was when it was on sale at Whole Foods; one of my favorite fruits now. I think this gorgeous cake would make it a worthy investment. So glad I saw this blog on IFLS! Thank you! 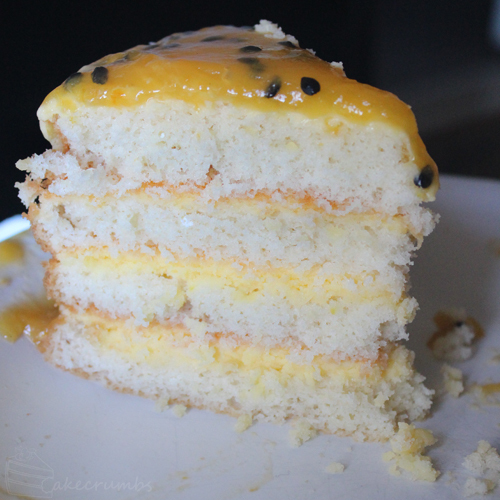 I’d forgotten how lovely the flavour of passionfruit is – I’m going to have to find more excuses to bake with it! Lovely! I’ll have to give this a try. With the passionfruit seeds- I often sieve all but a few tablespoons of the pulp to remove most (but not all) of the seeds. 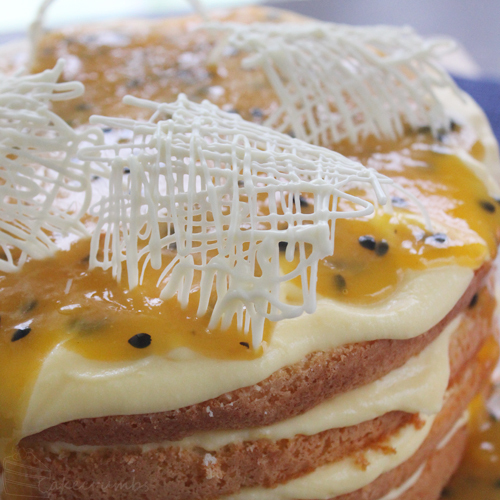 This way you get the iconic passionfruit look, but are not overcome by the crunchy little things. Thank you! I actually sneaked out about half of the seeds just cause I couldn’t help myself! Thanks for making this! Was very tasty and light and refreshing. Where do you buy your passion fruit from? I really would like to make this but I can not find any stores that sell or even know what it is. I got it from my local fruit store, but it is a seasonal fruit. A lot of supermarkets sell cans of the pulp which makes for a quick and easy substitute. 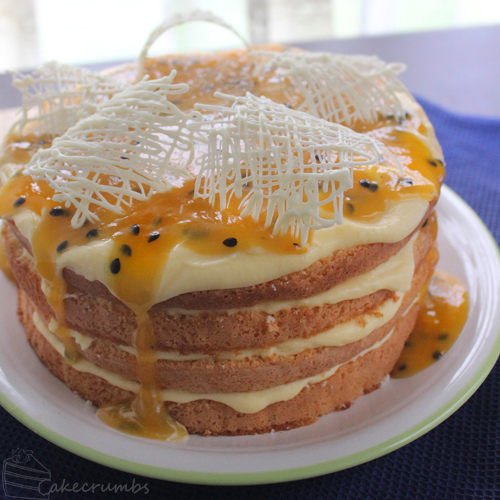 I’ve been meaning to write this for ages, I’m making this cake for the second time this weekend. Just wanted to say thanks for the recipe it really is delicious, it’s beautifully tart and so light. My boyfriend claims its the best cake he’s ever had. I love following your blog, I’m always excited to see your new recipes. Keeps me inspired to keep baking! That’s wonderful! So glad to hear it was so well received.